SOLD BY FLYING FISH PROPERTIES Lily Court is truly a unique building that sits majestically at the end of a private cul de sac. 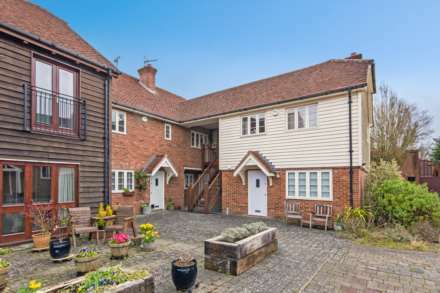 Its combination of red brick, hung tiles and fresh cream paintwork stretches skywards with its gabled roof points. 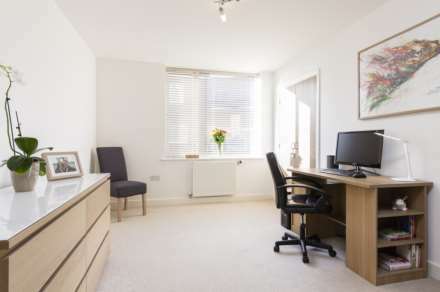 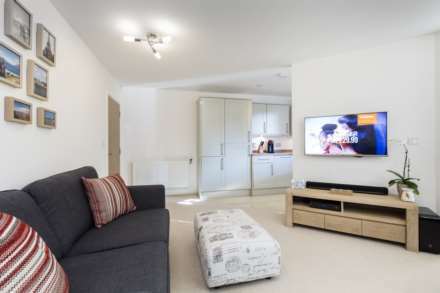 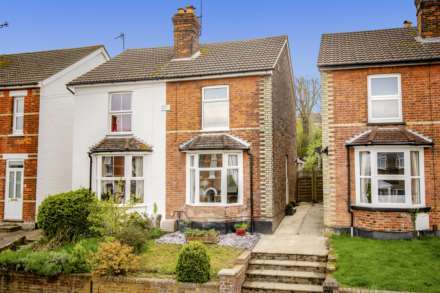 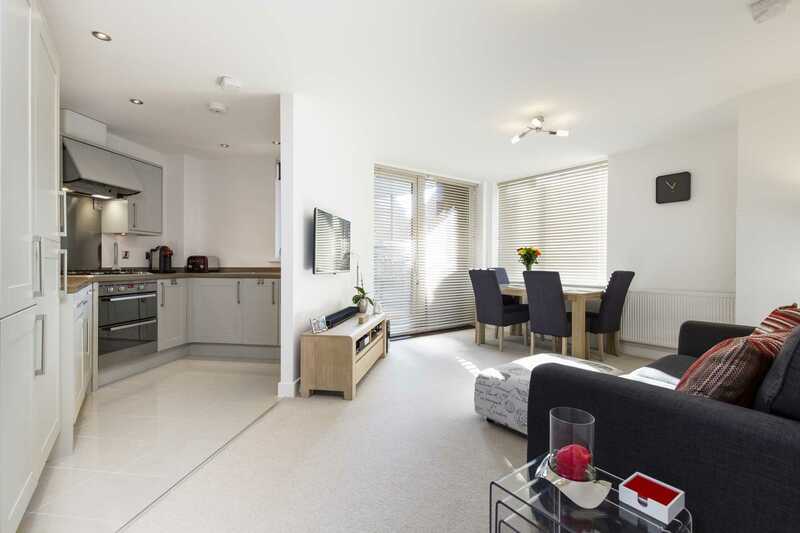 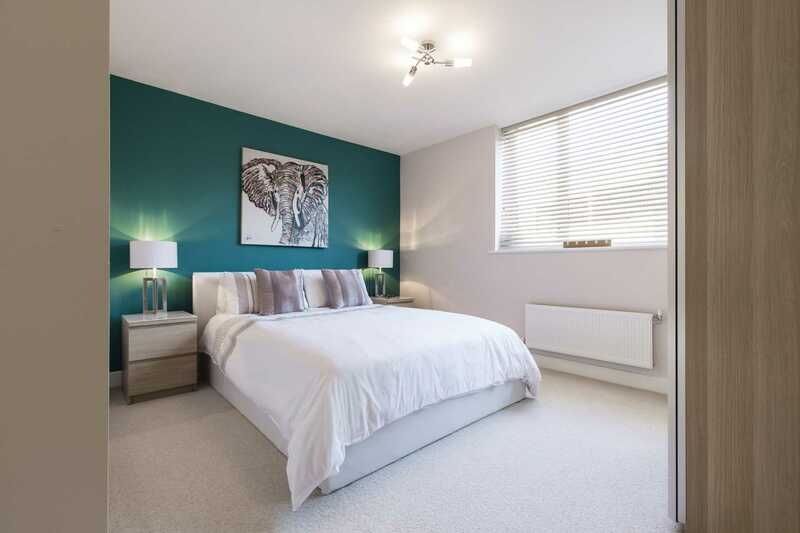 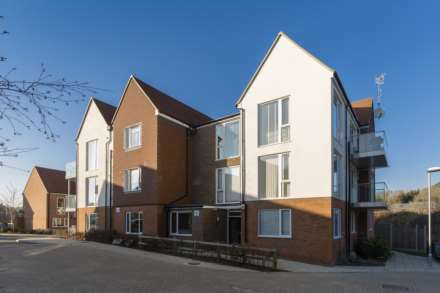 Positioned just south of the town centre, it is only a short walk to Tunbridge Wells mainline station and The Pantiles` vibrant cafes and restaurants. Your everyday needs are met by a convenience store on the corner while a large supermarket close by caters for all your other requirements. 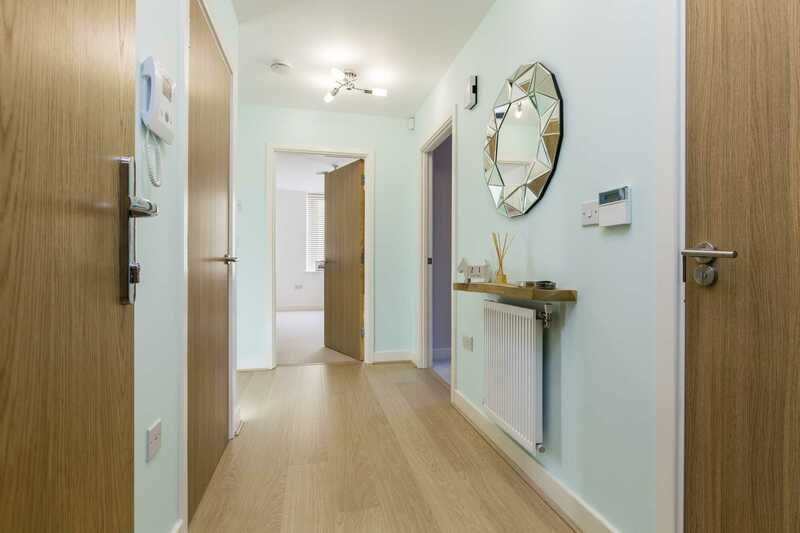 The apartment`s own front door opens into a crisply painted hallway whose warm wooden effect flooring contrasts beautifully with its pale blue walls. A deep storage cupboard on the left is perfect for storing coats and shoes to keep the hallway clutter free. To the right is a sumptuous bathroom, a high window reflecting light off its white fittings and contemporary tiles creating a soothing bathing experience. Across the hallway is the open plan living/dining room with its streamlined kitchen to the left. 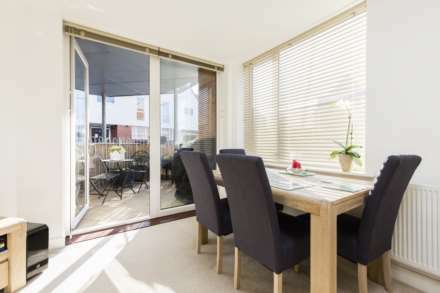 Its dual aspect windows, one of which is floor to ceiling, and fully glazed French door leading out onto the private terrace, flood the room with natural light. There is ample space for a deep sofa and a dining table and chairs while the covered terrace provides the perfect spot for alfresco dining in the warmer months. The well separated kitchen area forms an open U space at the far end of the living room enabling you to chat to friends and family as you prepare dinner. Plenty of stylish units topped with wooden effect work surfaces are separated by the integrated appliances whilst a window over the sink brings in more natural light. Bathroom: side aspect opaque double glazed window, panel enclosed bath with mixer tap and wall mounted Grohe shower fitting, glass shower bath screen, wash basin with mixer tap over inset into shelf, low level WC, tall fitted mirrored bathroom cabinet with internal shelving, heated towel rail, tiled walls and floor. 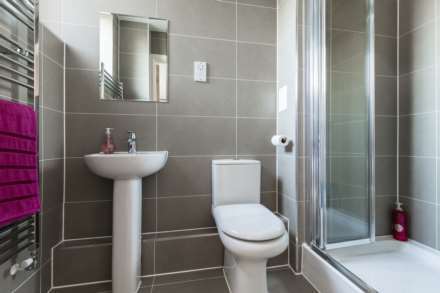 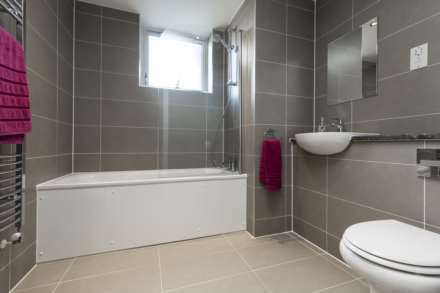 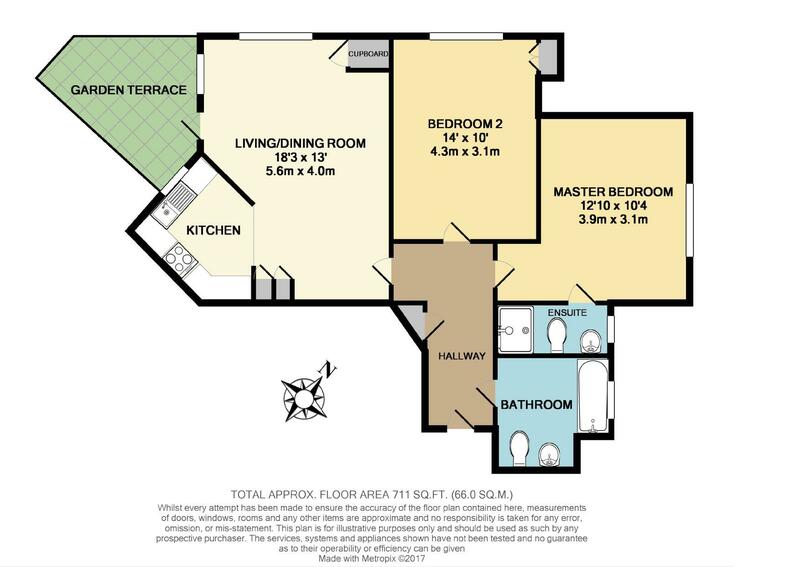 En-suite: side aspect opaque double glazed window, walk in shower enclosure with wall mounted Grohe shower fitting and bi- fold doors, pedestal wash basin with mixer tap over, low level WC heated towel rail, tiled walls and floor. 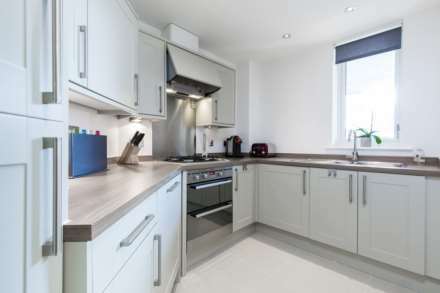 Kitchen: with integrated oven, 4 ring gas hob, extractor fan, stainless steel splashback, integrated dishwasher, integrated fridge/freezer in tall housing cabinet, one and ½ bowl stainless steel sink with mixer tap over and drainer. The kitchen has a selection of eye and base level units topped with wooden effect work surfaces, a tiled floor and a side aspect double glazed window above the sink. 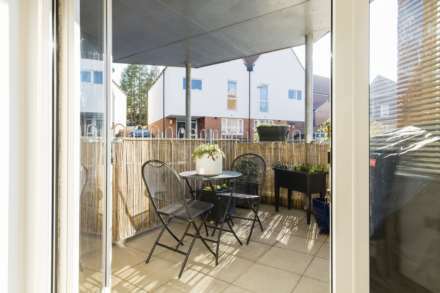 Outside: accessed off the living room is a covered private terrace with stone paving and painted iron railings screened with bamboo. 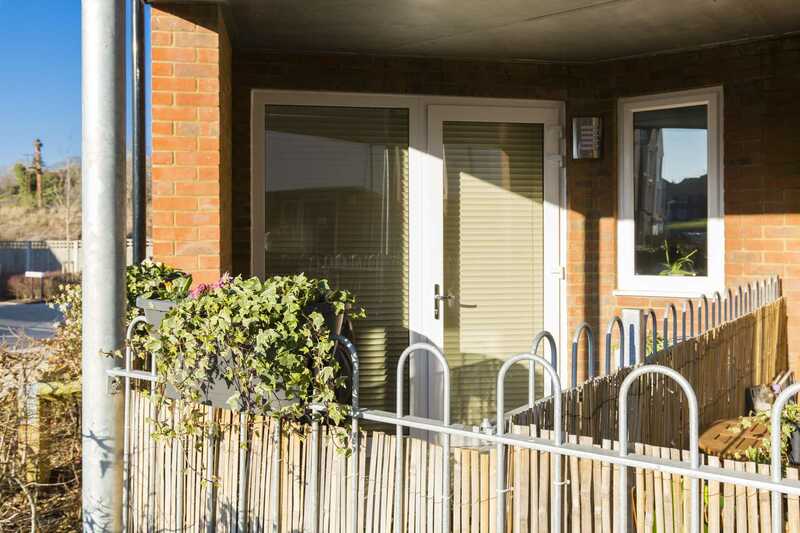 There is an allocated off street parking space to the right of the main entrance and a lockable bicycle store to the rear. 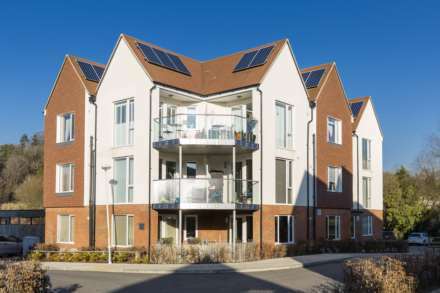 The property also benefits from energy efficient solar power energy panels situated on its main roof.